ROUYN-NORANDA, Que. — Peter Abbandonato scored a hat trick and had two assists as the Rouyn-Noranda Huskies dropped the Victoriaville Tigres 6-4 in Quebec Major Junior Hockey League action Saturday. Jakub Lauko had two goals and Felix Bibeau added a single for the Huskies (19-4-0), who kept pace atop the league standings with their seventh straight win. Egor Serdyuk, Dominic Cormier, Jordan Briere and Simon Lafrance supplied the offence for the Tigres (10-10-2). Zachary Emond stopped 23-of-27 shots before getting the hook for Samuel Harvey, who made three saves for Rouyn-Noranda. Fabio Iacobo kicked out 33 shots for Victoriaville. The Huskies went 2 for 3 on the power play. The Tigres were scoreless in two chances with the man advantage. BAIE-COMEAU, Que. — Jakob Pelletier scored twice as Moncton held on to beat Baie-Comeau and picked up its third consecutive win. Pelletier's marker into the empty net at 18:31 of the third period stood as the game-winning goal for the Wildcats (17-4-2). Simon Le Coultre, Brady Pataki and Alexander Khovanov also scored for the Wildcats. Jeremy McKenna had a pair of assists. Gabriel Fortier struck twice, while Yaroslav Alexeyev and Jordan Martel also scored for the Drakkar (17-6-1). Francis Leclerc turned aside 25 shots for Moncton. Kyle Jessiman stopped 16 shots for Baie-Comeau. Baie-Comeau's Jordan Martel received a game misconduct for boarding at 18:31 of the third period. CHICOUTIMI, Que. — Declan Smith scored twice and added an assist as Cape Breton thumped Chicoutimi. Shaun Miller, Leon Gawanke, Olivier Bourret, Mathias Laferriere and Kyle Havlena had singles for the Screaming Eagles (11-11-1). Theo Rochette scored the lone goal for the Sagueneens (10-7-5). Kevin Mandolese turned aside 20 shots for Cape Breton. 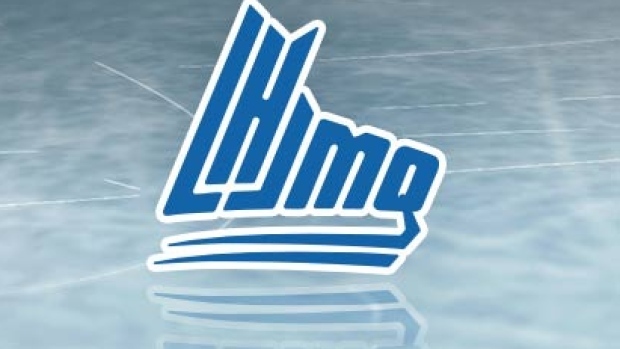 Chicoutimi's Alexis Shank stopped 13-of-17 shots before being spelled by Zachary Bouthillier, who thwarted 11-of-14 shots, in the second period. SHERBROOKE, Que. — Alex-Olivier Voyer scored twice as Sherbrooke dumped Gatineau to grab its fifth win in six games. Samuel Poulin, Taro Jentzsch, Oliver Okuliar, Bobby Dow and Ryan DaSilva supplied the offence for the Phoenix (12-8-2). Charles-Antoine Roy, Gabriel Bilodeau and Maxim Trepanier replied for the Olympiques (10-11-3). Thommy Monette turned aside 18 shots for Sherbrooke. Creed Jones kicked out 30 shots for Gatineau. BATHURST, N.B. — Pierre-Olivier Joseph scored twice and had two assists as Charlottetown routed Acadie-Bathurst for its third consecutive win. Brett Budgell and Keith Getson each had a pair of goals, while Zachary Beauregard, Nikita Alexandrov also scored for the Islanders (14-7-1). Daniil Vertiy, Noah Dobson and Marc-Andre LeCouffe answered for the Titan (4-18-1). Matthew Welsh turned away 14 shots for Charlottetown. Tyriq Outen kicked out 27 shots for Acadie-Bathurst. VAL-D'OR, Que. — Jonathan Lemieux turned aside 36 shots and Julien Tessier had a goal and two assists as Val-d'Or doubled up Blainville-Boisbriand. Jeremie Biakabutuka struck the game-winning goal for the Foreurs (8-13-2-1) at 14:34 of the second period. Emil Lessard-Aydin and Felix Boivin also scored for the Foreurs. Alexander Katerinakis and Simon Pinard replied for the Armada (10-11-1). Emile Samson stopped 27 shots for Blainville-Boisbriand.